I love those exo-suit mount skins. I really wish that they show up on the gem store sometime soon so I can throw money at you guys. Mask of silent? Any possible way? THIS. Has been wanted as an armor since day one, or an outfit I guess but armor would be lovely. Please release Braham's Mace and Shield again. Its been awhile. I'd love to be able to buy the "Swaggering Hat" again. Strider's armor set, and more individual armor skins in general. It's fun to mix and match different pieces. I don't really understand why we got the Flame... sets for the third time at least again - it's been available pretty much constantly -, while I haven't seen the Strider's armor set in months. It would really be appreciated to have more items available in the shop at the same time. People would buy if the things popped up more. I already "fear" that by the time the set is available again, I'll probably have gotten another armor set. Been waiting forever for the Jackal Rune set, and slightly less long for the Elonian Elementalist Outfit to come back. Can you bring back "name change contract" with discount before I delete my character to create another one with the proper name I want? Please!!! 800 gems is too expensive. Use a name change contract. Cheaper, I think. Name Change Contract is 800 Gems (as the OP noted). Last notation for NCC: On August 25, 2017, they were 50% off. OP, you might consider a post in the pertinent Sticky, above. One thing I agree it's way to expensive. They probably will make more money if it was 400 gems, people get bored/unhappy with toons' names quite often. I sure would have bought at least 3 or 4 of them for 400 gems. But hey, i'm just here waiting for a discount to buy my first one, lol. I can actually agree here. I’d love to change multiple character names right now, not because I hate their current ones, but I’ve just gotten bored with them or they don’t sound right with the look of the character now. But I’ll wait until the contract or ID repair kit goes on a good sale. 400 gems would be a good price to re-establish at imo, and 650 for the Identity Repair Kit to keep it inline. I would love the campfire as a novelty. Something that you place to gather'ound while waiting for that 5th guy in a fractal... You sit around and tell stories... A little bit of warmth always looks good visually, that's also why I always have my Mini Fire Tornado out. I want to move the name from 1 toon to another, as I don't play it anymore and it was better than the one I have now, I'd create a different one, but I created this one out of frustration of everything else being taken, so I need 2 kits and 1600gems isn't gonna happen in near future. Yup. I did that once. I was renaming one toon and creating another, so I in effect, I had to wait for two discounts: name change & toon slot. The first, as I've said, is very rare. 1x/year, sometimes 2x. Character slots have traditionally been discounted more often, though not always substantially (I think 20% might be the lowest). I need more shared bank slots. Missed the last discount sale. Anet I could see your outfit sales going up of you would just make the Winters Presence and Night Fury skins into infusions or allow the effects over an outfit. I myself would love to buy the Aura outfit but after putting so much money into WP I refuse to cover it up with an outfit . Many people have been begging for this for awhile. 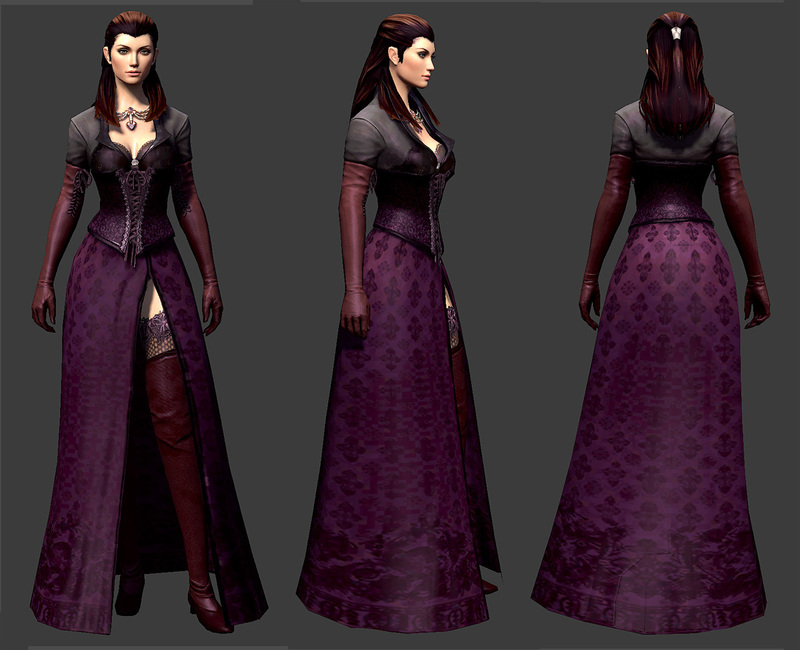 When was the last time the Fallen Balthazar outfit was avaible at gem store? I wish ANet could make it available soon, it is one the best looking outfits in the game. I'd like more hairstyles and cosmetic options for our characters. Endless Teleport to Friend Contract please! Some more Quivers skins? There are just 5, only 1 craftable and really basic and 1 via exclusive bl chest that cost 1200g at tp .-. I would love to see the chaos gloves back again soon. I have missed them every single time they were introduced (ugh) and it would be awesome if I was able to pick them up sometime soon since my schedule is heavily sporadic. I’m a new player with Heavy Armor and all this armors is beautiful but I was seeing styles in Guild Wars 2 Styles and I saw a Phalanx Armor and I’m really in love with that, I need this please and I have sure that many others players who did not have chance to buy want this too. Frost Griffon, please! Like Dzalana Ice Scale, Arctic Jerboa, and Iceberg. Make the Black Lion Chest keys cheaper, they are far too expensive for the amount of good drops you get from them. From left to right: -A game concept art, already covered by aetherblades medium outfit so okay. -A design from a deviant-artist very nice very close to what I would like. -A character designed and I drew by myself, a design I like a lot, actually in the style of the middle art. -> They are light only using some tissues no heavy plates covering the whole, have the shape of a coat/lab coat, you feel an energetic/mechanic aspect in them. A suggestion for one of those random draw weapons from the black lion chest: vampiric dragon sword skin from GW1. Anyway to have a 'World Portal Device' where players can jump between EU/NA servers to play with one another. I'm UK based but play on NA and have friends on my server that I don't want to leave. I'd happily pay for the ability to temporarily hop over to EU to do PvE content. Would love to see a Choya roller beetle skin! Strider's set is back in the GS. It's one of my favorite sets. Oh oh Oh OH! How about Scholar Harvesting tools. Books that look like a bunch of moths that cut down trees, and a BIG BOOK that you can wack on top of mining nodes to crush them, and a book that opens up then digs up all those plant nodes. On a personal note, kittah would like a Yarn Ball. He doesn't care what it does. He just wants one. To add on to this, would of loved a snowball skin for Wintersday... or even a pumpkin for Mad King (maybe even the blood moon! LOL that'd be entertaining)! On additional note, I really love the new Staff of Fortune skin, and would love to see an entire weapon line for it. Something about the Chinese/Korean spin on armor/weapons is appealing to me (although, that piggy is absolutely adorable, too)! For the lovers of military or tactical operatives, steam or dieselpunk I'd strongly suggest a more practical-looking tactical outfit for us rifle users in the likes of this image I found. 1521974176702.jpg I don't see why it can't exist in a world with airships, charr helicopters, tanks, submarines and Aetherblades. Anyways I'd love to see an outfit like this to exist. Perhaps one with gloves too with the option to hide like with other outfits.